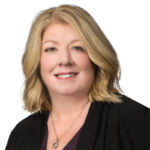 Betsy Veverka specializes in commercial real property transactions, due diligence and assessment, land use, development, financing, comprehensive private client real estate services, as well as the related formation and maintenance of business entities. Her clients primarily include developers, technology companies, high net worth individuals and family offices, and institutional and private investors in real property. She has particular expertise in real property due diligence, title assessment and risk management, and acquisitions and sales of commercial properties and large residential estates/luxury properties. Ms. Veverka’s commercial real estate practice includes purchase and sale agreements, property due diligence and assessment, title review and insurance negotiation, financing and closing services for office, industrial, multifamily residential and retail properties. She also has significant experience working with developers and consultants in connection with land use, subdivision, coastal ownership issues and public-private partnerships. Her private client practice serves high-wealth individuals and family offices in all aspects of confidential real estate matters focusing on creative, customized transactions, including coordination with estate, wealth management, and trust consultants, as well as ongoing property management and development matters. Before joining SSL Ms. Veverka spent 14 years as a transactional real estate specialist and paralegal manager at Ellman Burke Hoffman & Johnson in San Francisco, and prior to that, was a real estate litigation paralegal and branch office manager at Miller Starr & Regalia in Walnut Creek and Palo Alto. Undergraduate: University of Utah, Salt Lake City, UT and University of Nevada, Reno, NV. Due diligence, title and closing services for a global technology company in connection with the assemblage of 11 adjacent properties from multiple sellers for development by the company as its corporate campus. Disposition and related due diligence production and closing services for a Fortune 500 Company in connection with the sale and partial lease-back of its corporate headquarters in Oakland, California. Acquisition and due diligence services for private investment group in the acquisition and financing (with multiple lenders) of a mixed-use vertical subdivision project in Marin County, California. Due diligence and closing for global telecommunications company’s acquisition and development of its new headquarters in San Jose. Ongoing real estate and business services in connection with acquisition, ownership, development, leasing and management of a client’s portfolio of retail and office properties in the Silicon Valley.